From the moment that he was appointed to the role, Ed Balls was always going to be a controversial choice as Norwich City chairman. As a former Labour Shadow Chancellor and Shadow Home Secretary he was always going to attract antipathy from those of a different political persuasion, while the fact that he was a non-executive director continues to this day to cause confusion. Essentially a non-executive director typically does not engage in the day-to-day management of an organization but is involved in policymaking and planning exercises. Consequently, people criticising him for appearing on Strictly Come Dancing on the last day of a transfer window were rather missing the point. My first experience of Ed, several years ago, was a quick chat at a urinal at Stamford Bridge after City had lost to Chelsea. At that point he was still an MP but got to as many City games as possible, mixing with the fans rather than hobnobbing in the boardroom. As he says himself, he was brought up in the Barclay so why wouldn’t he be in the thick of it? Since then I’ve got to know him a little better through the Canaries Trust, initially when he stepped into the breach after the sudden departure of David McNally, a period which gives me a chance to nail another myth about him. At that point the Club was in a state of chaos, as an obsessively micro managed system, which had required McNally’s approval for even the most minor decision, now had to be revamped radically in limited time, and as a result Ed was putting in 18-hour days while also trying to fulfil his other commitments to Harvard University and Kings College London. 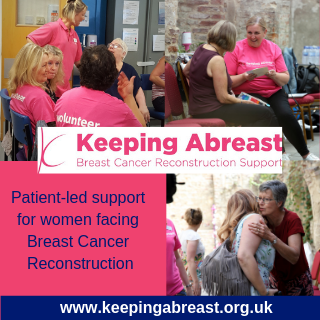 The fact that the rest of the Board recognised his efforts and loss of earnings by authorising a payment that he had not requested inevitably attracted criticism but was in fact a thoroughly deserved reward. I wonder how many of those who attacked that payment would happily give up two months of their working lives for nothing and, in fact, at significant personal cost? The fact that he has never courted publicity in his role has made it easy for those with an axe to grind to question his actual value to the Club, usually allied to snipes about his high profile on TV (once again based on a failure, or refusal, to understand his non-executive role). In reality, his contribution was immense, not least in overseeing the difficult transition from the riches of the Premier League to the post parachute payment era and playing a significant role in the move to our current management system. 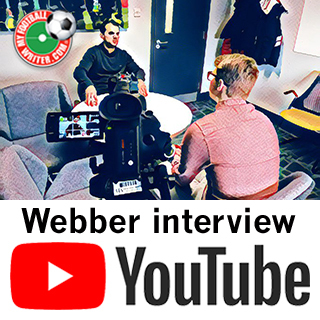 He was also instrumental in seeking the views of people like Damien Comolli, with whom Stuart Webber worked at Liverpool. Those conversations had a significant impact on Ed’s growing belief that the Sporting Director model was the way forward, something of which he was able to convince the rest of the City Board, and from which we are starting to reap the benefits. My most recent meeting with Ed once again emphasised his contacts and resultant ability to open doors. Despite their best efforts, no football club had managed to get a face-to-face meeting with Minister for Sport Tracey Crouch to discuss the issue of safe standing, but thanks to Ed’s political connections a number of representatives of fan groups and club officials from Norwich City were granted a lengthy audience, which resulted in a very constructive dialogue and the promise of future consultation. Lack of publicity doesn’t equate to lack of action, and I for one will miss working with Ed, firstly because he is a thoroughly nice, and totally unpretentious bloke, but most importantly because, as anyone who knows him will confirm, he is one of the most passionate fans of our Club that you could hope to meet. “I wonder how many of those who attacked that payment would happily give up two months of their working lives for nothing and, in fact, at significant personal cost?” Every single fan if they were in a privileged enough position to do so is the answer to that strange question. Ballsy baby is no martyr. Good try Robin! Trouble is truth v prejudice is a mismatch………. What a fantastic line, completely applicable to Ed Balls’ situation and the state of the country generally. …as amply demonstrated by Jeff. Hello Stewart Lewis – off topic I realise but – did we used to play football together in the West Fulham League for Capital Canaries? Absolutely! Happy days (even if we weren’t quite as well coached as NCFC these days). I would say that the fact that Balls’ politics match Delia’s led to a lot of cynical sniping, which I quite understand if I’m honest. However his Chairmanship was hardly a bad one and like Robin and many of us I know him to be a genuine fan. There are many differing views on this, as there would be. 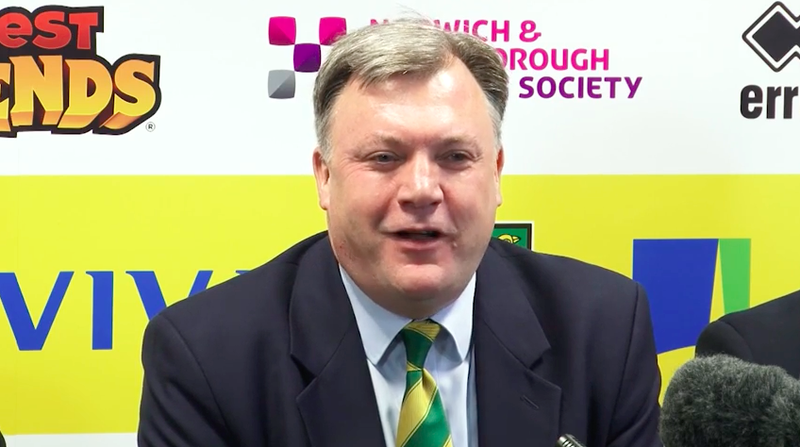 But I never once heard Ed Balls utilise NCFC as a platform for his political views so fair play to him in my book. In my very limited experience (I only met him once) he came across as very genuine and I’m glad he’s staying on in the capacity of ambassador. A very well written article, Robin. Excellent piece, Robin. Things our fans ought to understand, if they’re really interested in our club. Norwich City has had a series of non-executive, unpaid chairmen. With some fans, it seems that’s fine as long as we don’t know what he does most of the time. But if it’s anything high-profile – or heaven forbid, entertaining – then he’s to be lambasted. One small point for balance. In 2009, we needed exactly the qualities that David McNally brought to NCFC. Only someone like him – perhaps only David – could have turned the club around as he did. However things worked out later, that should be acknowledged. A good point about David McNally, who I did speak with a few times and found to be a very decent bloke. Would I have wished to work for him? Debatable. When Ed Balls was originally appointed I don’t think some folks truly understood the concept of him being non-executive. Plus although he did Strictly he also played in more than one charity football match – and not too badly at all .Nobody lambasts him for that! Politics causes so much division and contention but I reiterate that Ed Balls never exploited his position with Norwich City to further his viewpoint and I admire him for that. And more reiteration – I’m glad he’s staying on as an ambassador..
Stewart, I do not think that there’s anyone out there who actually underestimates the significant role played by David during his time here. What’s key, of course, is that the non-executive directors have the appropriate “checks and balances” in place to ensure that the executive directors aren’t doing anything untoward. Ed Balls new that taking the position at city was going to be a rough ride not only due to his political view’s, there would be supporters criticism on newspaper articles, Strickly and any other TV appearance that he would make during his tenure. One criticism in the early days and I will admit that I jumped on this was with all his connections in the Financial world why we didn’t see any investment and I read when adked his reply was alomg the lines no one is interested but we are open to offers. As you say he hasn’t used city to advance his career as others might have done in any other field and has only ever praused the club so I will wish him all the best for the future and hope city can find another city supporting chairman to carry on the good work. I really don’t have any strong feelings about Ed either way. He hired Jez Moxey and he hired Stuart Webber so a mixed bag, If you asked me two months ago if he’d done a good job I’d say no, but it’s amazing what two months of good football can do. However, this made me chuckle..
All three of these views are compatible Dave. If Ed had indeed initiated the idea, Delia would have to have approved and Steve Stone would indeed have had to implement the structural changes, supported by the Board. Actually, as far as I can understand Tom Smith has played a big role too, meaning that one of the reasons the new model has worked is because ALL the Board have supported it. Thanks too Robin, it’s good to have this clarification and explanation, especially as has been noted already, prejudice will indeed often win out and, all too frequently nowadays, cover over truth. It’s clear though that Ed Balls did play a key role in initiating the Sporting Director position, as well as helping to restore our finances post the Alex Neil disaster, and as such deserves our thanks for both. Indeed, if we stay where we are come the end of the season we will owe him much more than just thanks. You say Alex Neil disaster. But let’s not forget that Norwich were in the PL when Ed Balls joined. He was chairmen during the period of administration that backed Alex Neil well beyond reason, financed all his deals, and hired Jed Moxey. You can’t pick the successful parts and attribute them to him, but attribute the failures on other individuals. Ed helped make the mess and he helped clear it up. As I say, his tenure was a mixed bag which will no doubted end on a high. Your comments almost invariably make me chuckle too. Nothing wrong with well-presented dissent. I’ve been guilty of that in the past and I surely will be again. I am no blind follower as you will know by now – I’m simply loving the first half of this season. That’s my stance, for now. Although I completely lay off the NCFC internal political issues during the active season (I’d so much rather write about the football itself, as I’m sure would all of us at MFW) I have to say that Stewart’s and Robin’s words you quoted above remain totally valid to me. Let’s enjoy the ride, hey?